Receive a $50 discount if you sign up before June 1. We are happy to see the return of the elementary school football programs and will be offering rising K/1-5. K/1 will play together in this league. Elementary school players will play through the Cobb Football League. Practices will be determined by the coaches closer to the fall but K-3 will practice 2 days/week with 4-5 practicing up to 3 days/week. Times will vary but will be in the 6-8:00 time frame. Games will be Saturdays with the season ending late October. All practices will take place at Lassiter High School. *One set of practice wear:dry fit shirts & shorts($40 value). 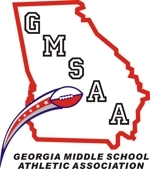 Rising 6-8 grades will play in the Georgia Middle School Association League. Cost is $550; however, prior to June 1 there is a $50 discount. Practices will be at least 3 days/week with games on Saturdays. Coaches will determine exact days/times closer to the season starting. All practices will take place at Lassiter High School. *One set of practice wear:dry fit shirt/shorts ($40 value). With the return of elementary school football, we will also see the return of elementary school cheer! Rising K-5 are welcome to sign up with no try-outs/etc necessary. Please click on the "CHEER" tab for further details. Sisters can cheer for their brothers! Welcome to the 2019 Lassiter Jr Football Board of Directors! Thank you to all those volunteers who have helped to complete the Board for the 2019 Season. We have a lot of work to do but very excited to get the season underway! Please keep in mind that our whole program is run by volunteers and it takes all of us to do our part to make it a successful and enjoyable experience for the players and families! All families are required to complete 3 volunteer shifts per player in the LJTF program. Families of coaches, team mom, team dad and season long announcer will be the only ones exempt from these requirements. All families have the choice of opting out of their volunteer shifts. The opt-out fee is $200 per player. If for any reason you are unable to fulfill the volunteer requirement during the season, the $200 volunteer deposit check will be cashed at the end of season. Volunteer shifts will be available for all of our home games and each shift will be approximately 2-2 ½ hours. We will have volunteer opportunities in Concessions, Spirit Wear Sales and Front Gate. There are few glitches to work out as we get our CFL families in the NGIN database. This is where the DIBS system is located and is where you will find and claim you volunteer shifts. I will explain this more in a follow up email when the site goes live and is ready for you all to claim your shifts. Please note that all shifts must be claimed and carried out by an adult 18 years or older. We look forward to a great football season and thank you so much in advance for your assistance. What Does My Registration Pay For? Jeff Salyer, our current treasurer, has created an excellent Powerpoint to help educate our members and answer questions based on fees collected to support LJTF. If you have any questions after reviewing this, please feel free to reach out to Jeff at treasurer@lassiterjrfootball.com. Please note: You must be registered for that team in order to gain access to the team pages.